No musicians have done more to spread the word about Swindon than XTC. The group, now made up of Andy Partridge, Colin Moulding and Dave Gregory, have included numerous references to their home town in their music and on the sleeves in which their records and CDs have been packaged. Although they crashed on to the scene amid the punk explosion of 1977, XTC are more than an average rock band. Their innovative style is testimony to their commitment to produce records driven by their talents, not commercial considerations. Consequently, they remain one of the most respected groups among fellow musicians. 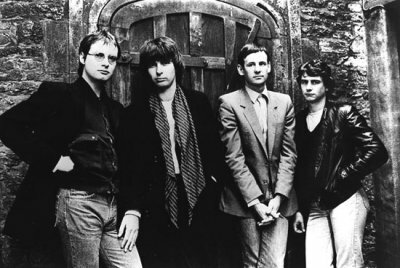 Wherever XTC have gone, Swindon has gone too and their large worldwide following are well aware of the group's roots, even if they are sometimes confused by many Swindon references. Listed here is just an indication of the more prominent Swindon links in XTC's music. 1. 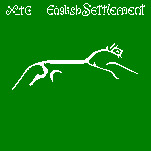 Uffington White Horse was used as the design for the cover of their highly acclaimed 1981 album, English Settlement (pictured, above). Worldwide publicity confused some people, as Andy Partridge once recalled. "The Americans thought it was just a awful drawing of a horse," he said. One of the tracks on the album is called "English Roundabout" and is clearly influenced by the Magic Roundabout. 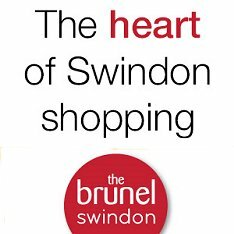 The sound of the Swindon Railway Works hooter was used in the introduction to their 1986 single, The Meeting Place. There were numerous railway references on the 1984 album, The Big Express. The front cover design included the wheel of a Swindon-built locomotive and the reverse featured a British Railways logo on the side of a locomotive. On the inner sleeve, the band are wearing GWR uniforms (borrowed from the Swindon and Cricklade Railway) in the picture, which was taken on the footplate of the Swindon-built locomotive, Lode Star, in the GWR Museum in Swindon. One of the tracks is called Train Running Low on Soul Coal and another, The Everyday Story of Smalltown, is clearly about Swindon as the lyrics include the line: "We're racing the hooter that'll signal life's up." 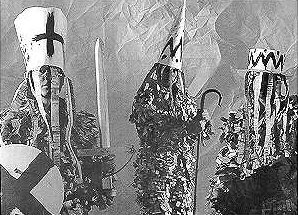 The front cover of the 1983 album, Mummer, shows a cutting from Swindon's Evening Advertiser, and the inner sleeve shows XTC dressed in costumes made from torn-up copies of the same newspaper (pictured, right). The 1989 album, Oranges and Lemons, features a track called Chalkhills and Children, a reference to the Marlborough Downs and other surrounding countryside, and one of the lines refers to Ermin Street in Stratton St Margaret (even though it is mis-spelt as "Ermine" on the sleeve). The sleeve notes of the Skylarking album, released in 1986, claim: "All backing vocals by the Beech Avenue Boys", a pun combining the American group, The Beach Boys, with the road in Pinehurst, Swindon. The cover of the 1981 single, Ball and Chain, shows a now-demolished house in Westcott Street.